Intersection: Highway 27 and Dixon Rd. Highway 27 station is located at Highway 27 and Dixon Rd. 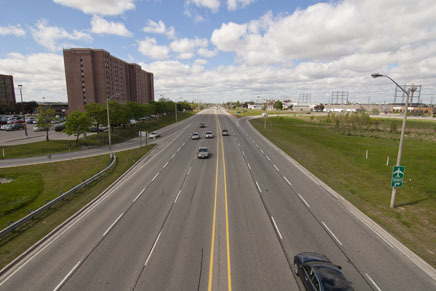 It will provide direct subway service to the Attwell Business Park, as well as short shuttle service to Woodbine Racetrack. It will connect with four different surface routes, including a rerouted 46 Martin Grove. 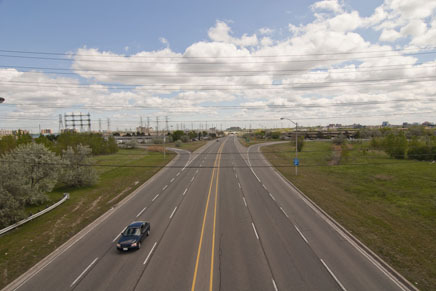 Highway 27 has a density figure which is deceivingly low and likely underestimated. 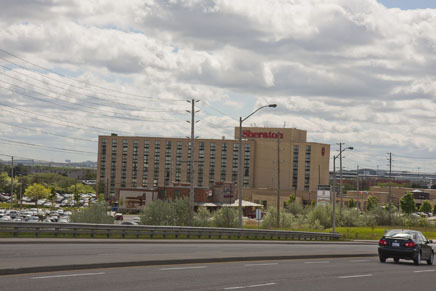 First, four major hotels are located very close to this interchange, which have high amounts of potential passengers who are not counted in density estimates. Beyond the underestimated immediate density, the stop would provide a very quick shuttle that can operate between this station and the Woodbine Racetrack, which would be a huge draw for Torontonians who currently have little choice but to drive to this location which is poorly served by transit. 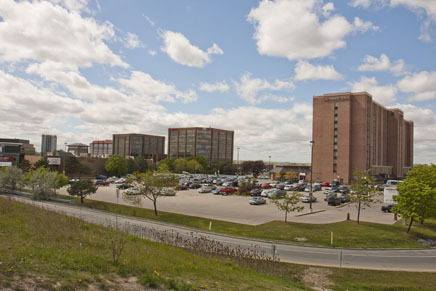 Students at Humber College would be much closer to a subway, making the campus much more appealing. 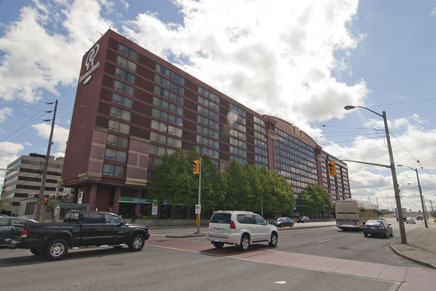 Finally, the Toronto Congress Centre resides at this location, making it a much better location for conventions, giving attendants an alternate option to being stuck in a traffic jam when leaving. Redevelopment potential exists to intensify office growth in the area. 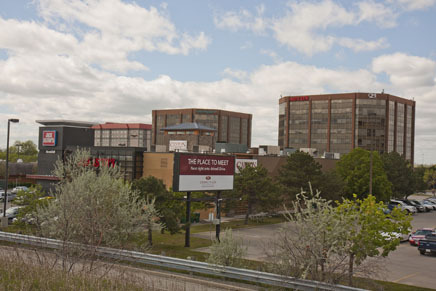 Because it is in the centre of the Rexdale Employment District122, it is unlikely that any residential development would occur, but that is not that important. 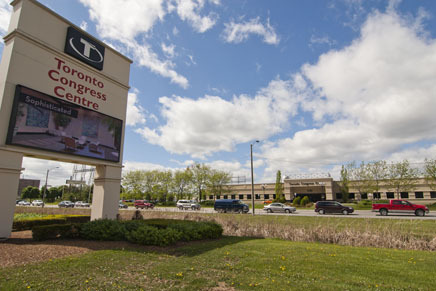 This would be one of the prime locations in Toronto for businesses to locate if a subway was nearby, adding rapid transit to a list of transportation amenities that include very quick access to Pearson Airport, as well as Highways 401 and 427. There is also enough space and parking lots in the area that this would be a potential station to put park-and-ride facilities at, further increasing use. Despite the appearance of a low density, there are numerous reasons to locate a station at Highway 27. It would serve not only the immediate area, but a numerous trip generators north of it. Picture 01. Personal photograph by author. 2010. Picture 02. Personal photograph by author. 2010. Wright, Mark. Picture 03. 2010. Photograph. Wright, Mark. Picture 04. 2010. Photograph. Picture 05. Personal photograph by author. 2010. Picture 06. Personal photograph by author. 2010. Picture 07. Personal photograph by author. 2010.